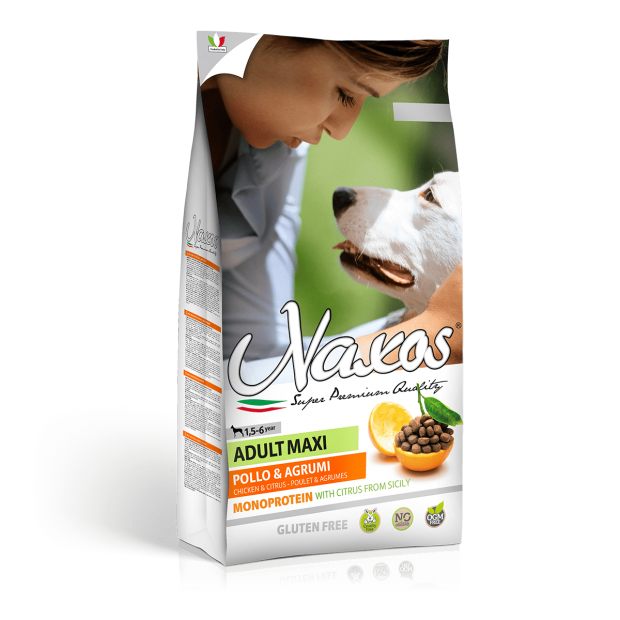 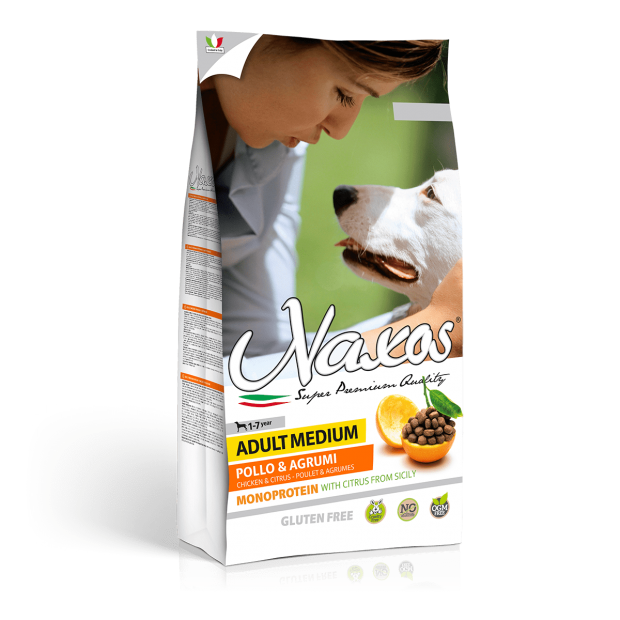 Naxos Adult Medium – Rabbit and citrus is recommended for adult dogs of medium size since it considers the specific physiologic and nutritional needs of animals of that age and size. 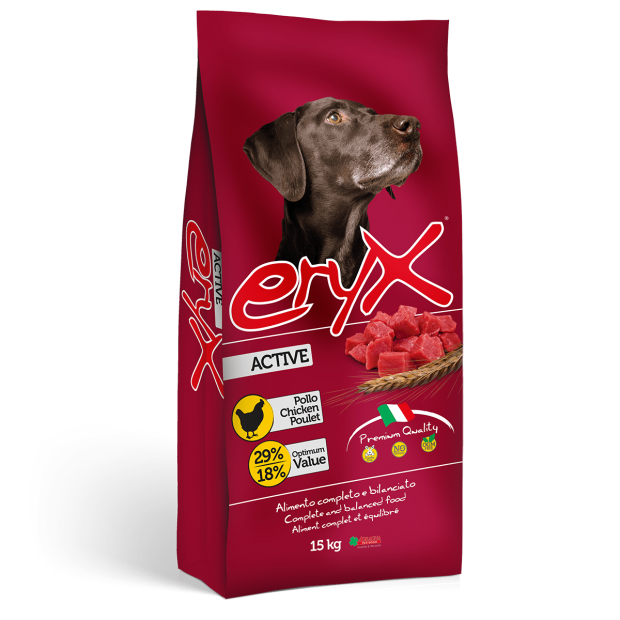 COMPOSITION Dried rabbit proteins (33%); sorghum; corn; rice; animal fats; buckwheat; hydrolysed animal proteins; dried Sicilian citrus fruit (orange 2%, lemon 1%); dried beet pulp; dried carobs; brewer’s yeast; linseeds; olive oil; sodium chloride; extract of chestnut wood (natural source of tannins); fructooligosaccharides. 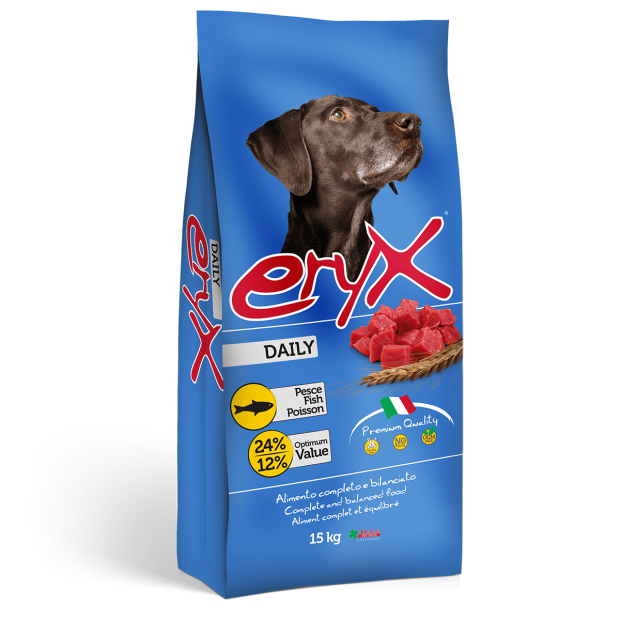 ANALYTICAL CONSTITUENTS Moisture 9,00%, crude protein 26,00%, crude fats and oils 15,50%, crude fiber 2,80%, crude ashes 4,90%, calcium 1,20%, phosphorous 1,00%, Omega 3 0,30%, Omega 6 2,10%, metabolizable energy 3.900 Kcal/Kg. NUTRITIONAL ADDITIVES Vitamin A 18.000 UI – Vitamin C 70,00 mg – Vitamin D3 1.200 UI – Vitamin E 250 UI – Vitamin B1 7,20 mg – Vitamin B2 7,20 mg – Vitamin B3 30,00 mg – Vitamin B6/pyridoxine hydrochloride 6,00 mg – Biotin 1,50 mg – Vitamin K 1,50 mg – Vitamin B12 0,15 mg – Acid folic 1,50 mg – Cholin chloride 1.680,00 mg – Iron carbonate (iron) 300,00 mg – Calcium iodate anhydrous (iodine) 2,60 mg– Copper sulfate pentahydrate (copper) 47,00 mg – Manganese oxide (manganese) 60,00 mg – Zinc oxide (zinc) 180,00 mg – Sodium selenite (selenium) 0,27 mg – DL Methionine technically pure 3.000,00 mg. Antioxidants.